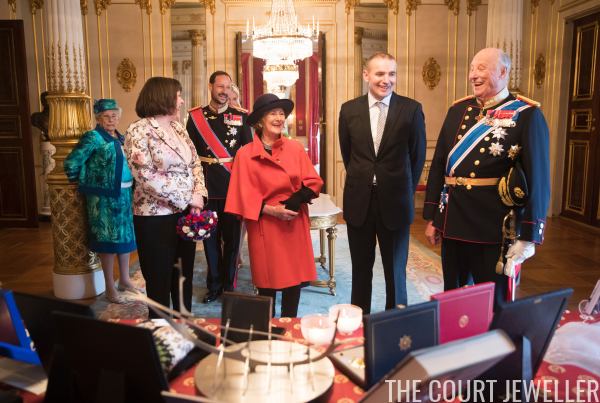 The Norwegian royal family welcomed the President and First Lady of Iceland to Oslo on Tuesday, and they brought out some big jewels for the occasion. 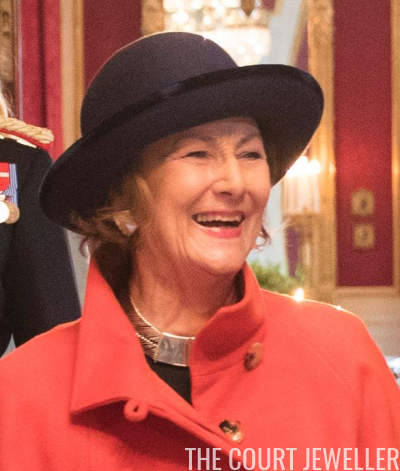 For the morning events on the first day of the visit, Queen Sonja wore one of her many sets of ultra-modern jewelry. This suite includes a necklace and earrings. Here's a look at Sonja's entire outfit for the welcome events. 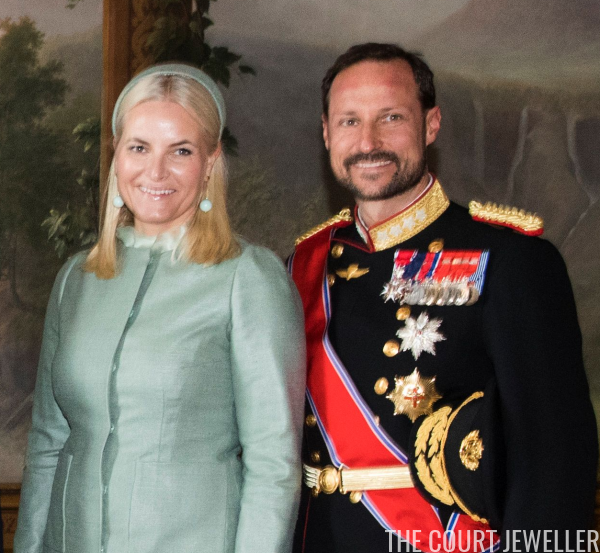 Crown Princess Mette-Marit wore a pair of springy pendant earrings for the official photos. 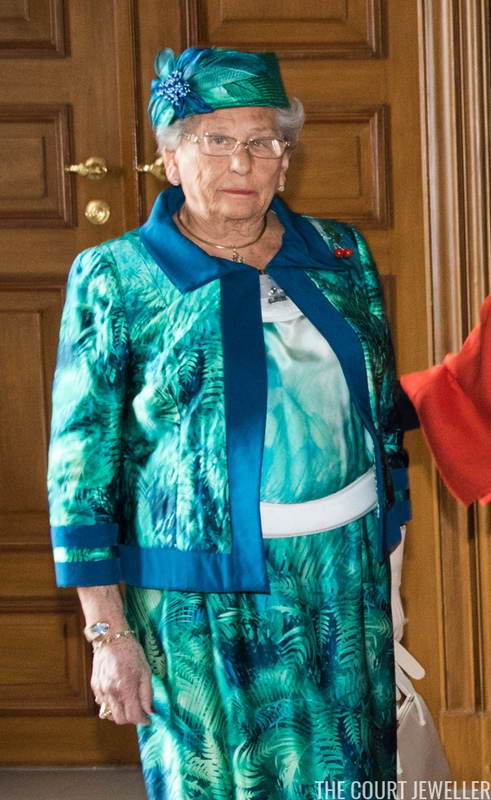 And Princess Astrid wore mostly simple gold jewelry -- with the exception of the cherry brooch pinned to her left shoulder! Crown Princess Mette-Marit wore her wedding tiara. I think the tiara-wearer match here is just about perfect, as always: M-M loves a sleek, cool look, and this tiara fits the bill. But I don't like it nearly as much when it's worn as a headband.